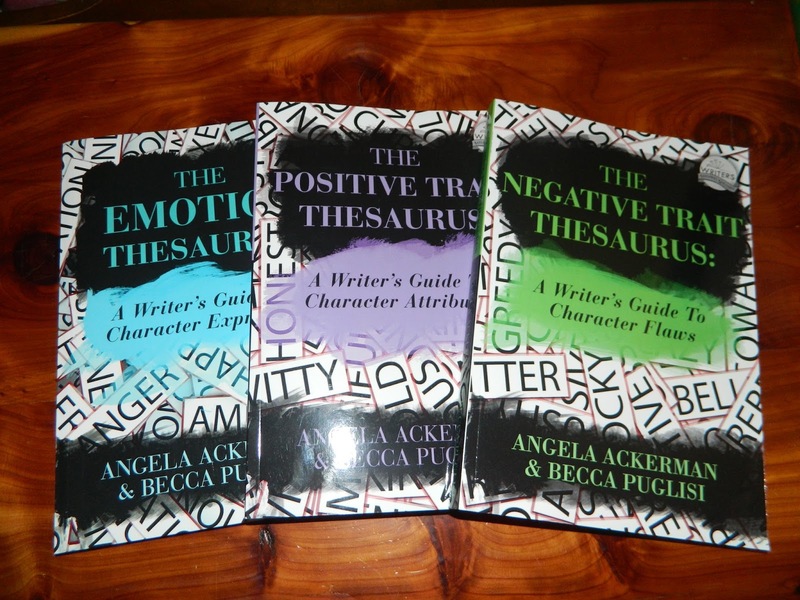 Today, I’m promoting some awesome writing thesauruses by Angela Ackerman and Becca Puglisi. Now, most writing books and I don’t get along. I have bought and borrowed tons of them and none really seemed to help with anything I was struggling with. One of the things I struggle with more in my writing is emotion. I mean, my handsome knight has been killed by a dragon and his guts are everywhere and the girl he loves and who loved him, is laughing a witch screeching laugh. Ok, it’s not that bad but you get the point. So when I came across these books, I brought them as soon as I could afford them and they really have been an awesome help. An example would be the trait “haughty”. A definition of the word haughty is given and similar flaws, ex. arrogant, disdainful, etc. Believing that others are less intelligent than oneself. Using one’s influence to ensure those deemed inferior do not gain esteem in other’s eyes.